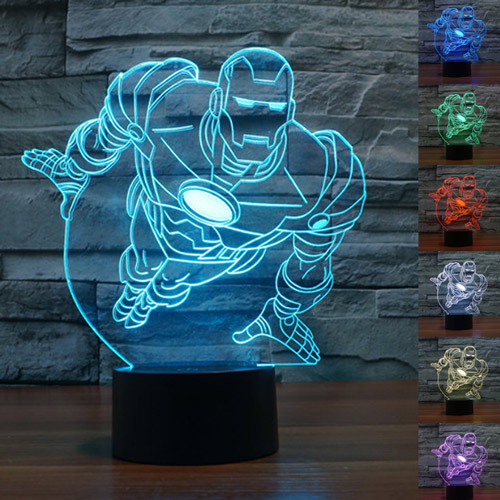 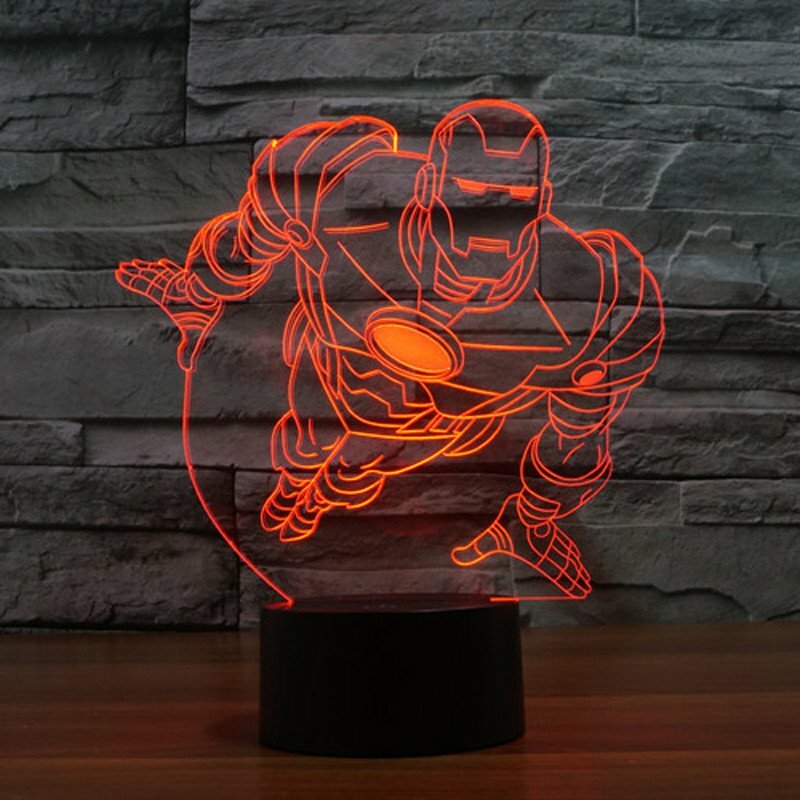 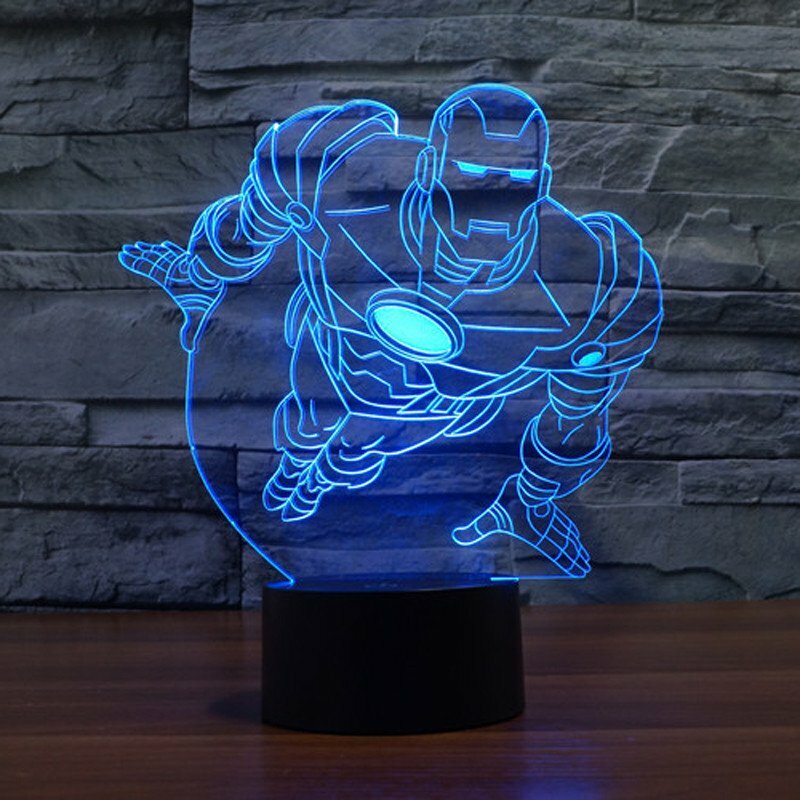 The 3D LED Ironman Lamp that creates an optical 3D illusion. 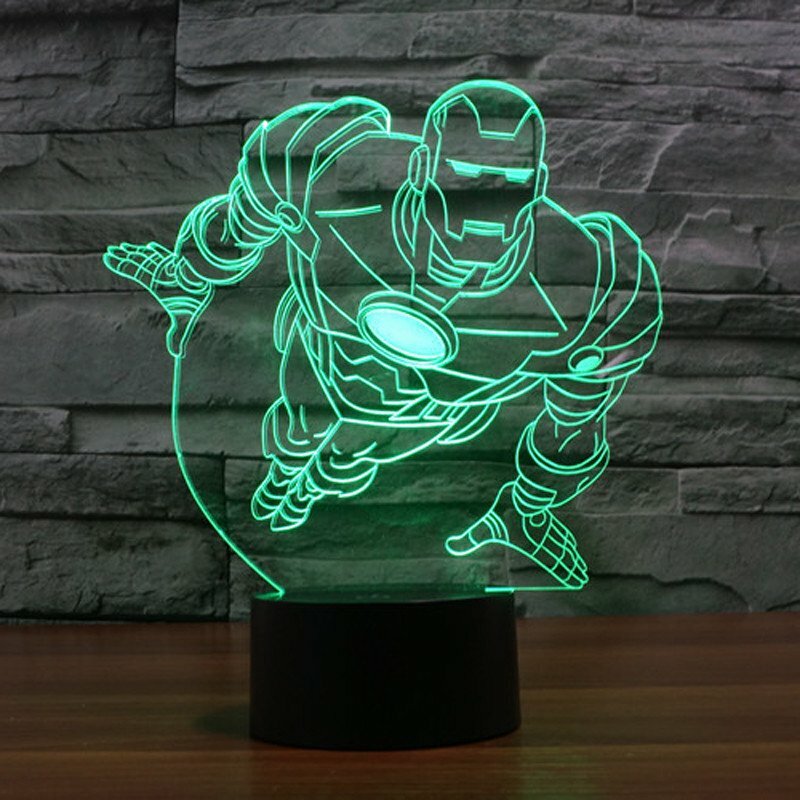 From afar, you will see the Iron man design, but as you get up close, you see a thin acrylic glass sheet that’s completely flat. 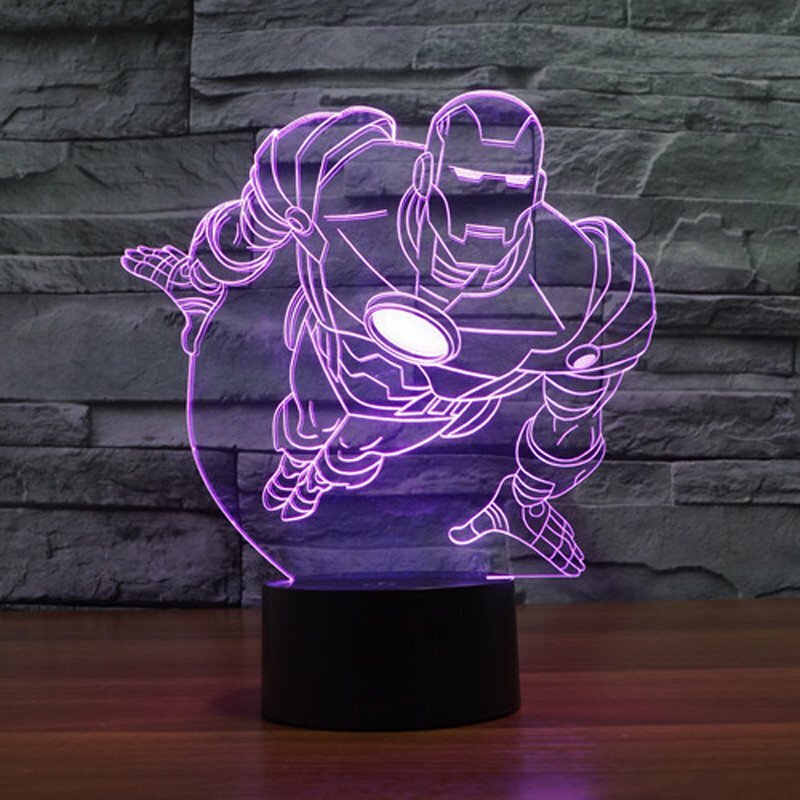 It’s bound to dazzle and impress while always lighting up the room. 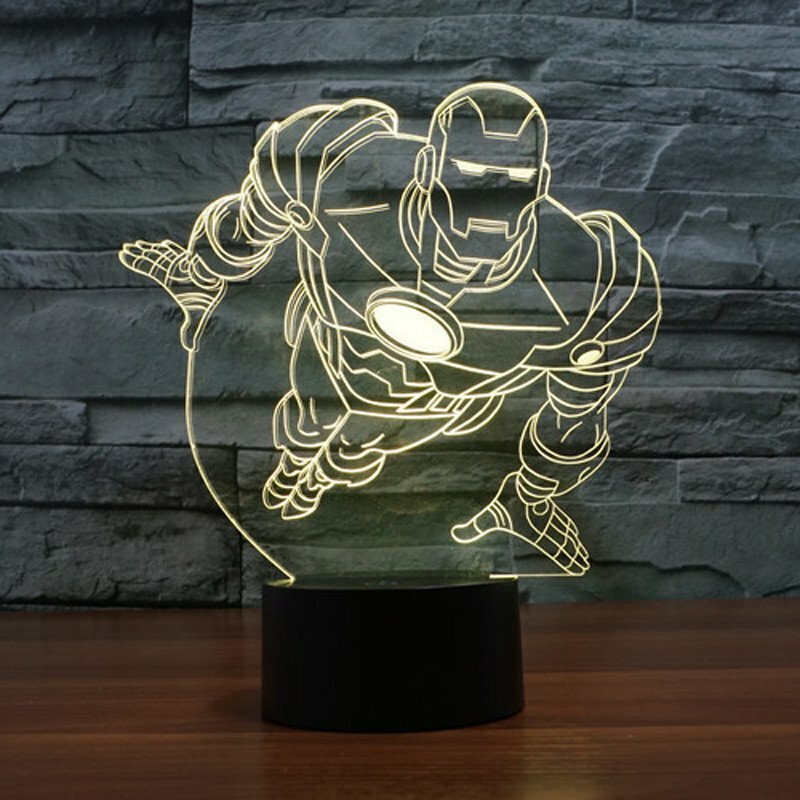 Perfect for displaying in your bedroom, living room, office, as a night lamp or any way you want to use it. 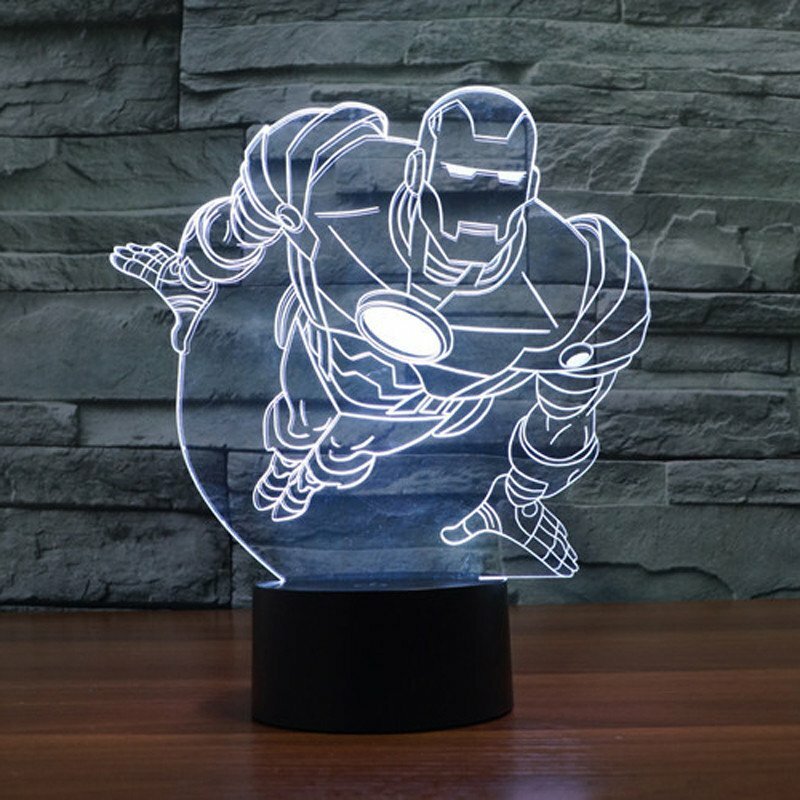 The NEW Ironman Lamp is in-Stock and available for ordering with same day Free shipping.